A lot of ladies, especially other curly girls, have been asking what I've been using in my hair. This is it! The answer to our curly hair dreams. 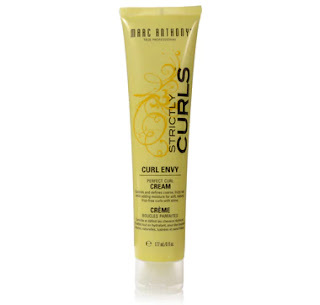 Marc Anthony's Strictly Curls Curl Envy Perfect Curl Cream is kickass over everything else I've tried and trust me I've tried many. It delivers the shine, definition, and just enough hold that I've been searching for. But the reason this product wins over other curl creams is that it delivers a ton of moisture without leaving your hair sticky. Plus, the moisture and shine lasts all day. I use this curl cream along with a small amount of gel around the hairline. I'm left with just right level of definition and movement for my Type-3C curls (Blacknaps.org Hair Typing overview). I've used other products but this one is very reliable. Listen ladies, I fully acknowledge that not all naturally curly sisters can rock the wash-and-go but you can use this product for twists and other protective styles. I've been using this product to finish off my wash-and-goes for about 4 months now and I love it. I plan to try the Curl Envy Shampoo or Conditioner because I've been hearing they're also great for natural curls. Curl Envy leaves your hair soft and shiny and makes your curls pop for the entire day. 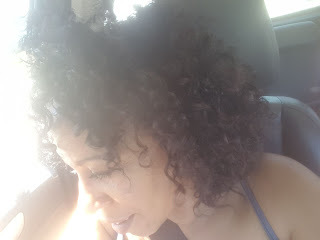 Sometimes, I can stretch my wash-and-go to two days by spraying in some water and and reapplying the curl cream. Marc Anthony Curl Cream is by far my favorite curl defining cream. I have a never-fail process for curl popping to share with you that you will not regret trying. Look out for my upcoming blog on My Wash-and-Go Process.